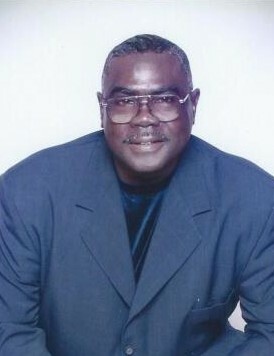 Obituary for Marion Patterson, Jr. | Worley Funeral Home, Inc.
Mr. Marion Patterson, Jr., 66 of 774 Sweet Home Church Road, Elizabethtown, NC passed on Sunday, February 3, 2019 at Cape Fear Valley Medical Center, Fayetteville, NC. The funeral service will be held at 1pm, Monday, February 11, 2019 at St. Paul Church of Christ, Clinton, NC with Elder David Marible officiating. Burial with military honors will take place at 2pm, Tuesday, February 12, 2019 at Sandhills State Veterans Cemetery, Spring Lake, NC. Mr. Patterson is survived by SONS-Marion Kareen Patterson, III of Newton Grove, NC and Travis M. Patterson of Raleigh, NC; SISTERS-Mary Shotwell of Kernersville, NC, Renee Bell, Marilyn Walker and Lisa Patterson all of Raleigh, NC; BROTHERS-Roger Patterson of Franklinton, NC and Conrad Patterson of Zebulon, NC; six grandchildren.